In order to use Hendrix, you must have a verified phone number associated with your Hendrix account. Watch our quick video tutorial on adding and removing registered devices on your Hendrix dashboard. You can freely add and remove devices in your dashboard profile. You will not be charged based on the number of devices you have verified within your dashboard. Add your phone number, name, and select “Mobile” under “Type”. Your status will change to “Unverified,” but you will receive a verification code from Hendrix via text message. 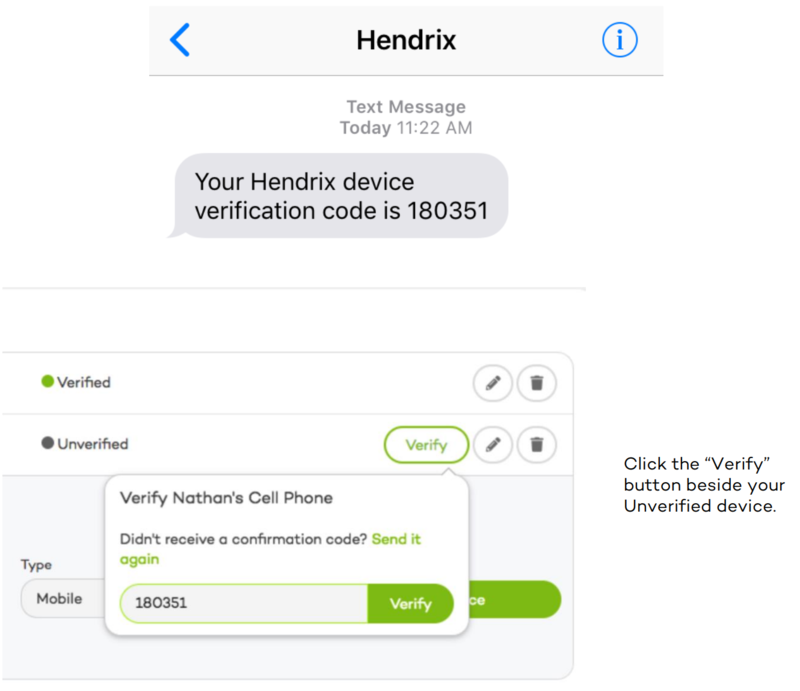 If you did not receive a confirmation code or need it re-sent, click “Send it again” in the verification window and Hendrix will send you another text message. The process to add a landline device is the same process as adding a mobile device, but instead of a text message, Hendrix will immediately call you. If you miss Hendrix’s call, he will leave you a voice mail. If you need Hendrix to re-send you the verification code, click “Send it again” in the verification window and Hendrix will call you again. In order to edit a device you will have to remove your device, then add it again. To remove your device, simply click the garbage can icon beside your device. Once you remove your device, you will have to add it again in the future.